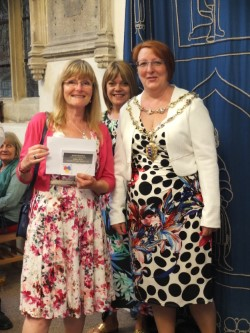 Maldon Town Mayor, Cllr Jeanette Stilts, and Mayoress Mrs Hilary Miller visited the Maldon Art Club Annual Open Summer Exhibition held at All Saints Church on 26th May 2017. 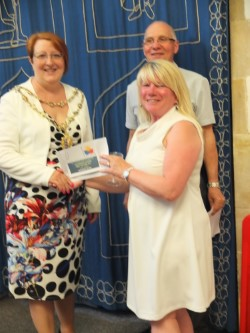 The Town Mayor presented prizes to Jo Madge for Drawing and Sue Mason for Best Painting. 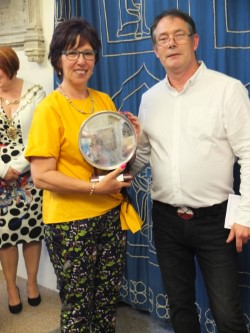 Sue Spiro won the Carol Nutt Trophy. 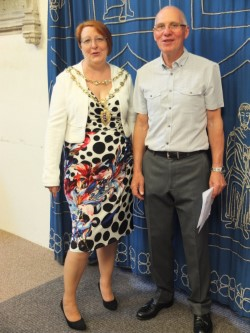 The Town Mayor and Mayoress were welcomed by Len Joyce who stood in for Chair Robert Nutt who was unwell, and by Gary Fell, the Exhibition Coordinator. The Town Mayor was also lucky to win first prize in the raffle, a meal at the Maldon Smokehouse.